The ceremony was a humanist service in a beautiful room at the venue. 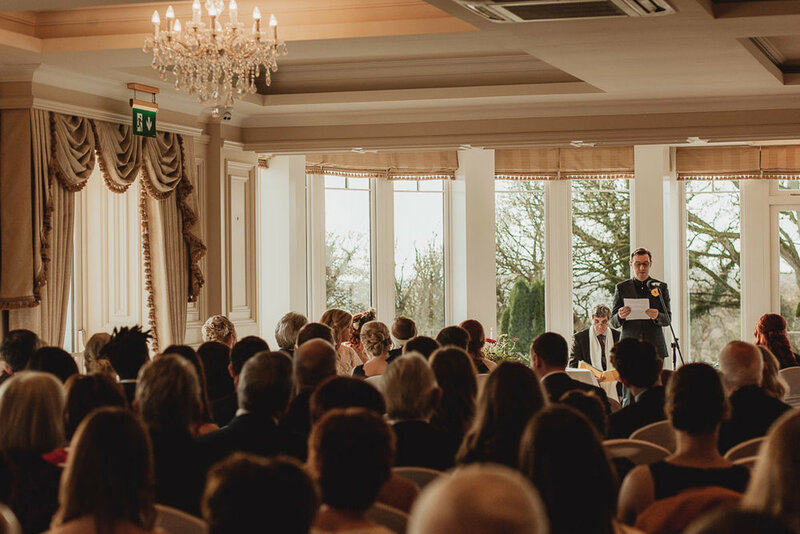 The view of Lough Sheelin was just amazing and the celebrant, Kevin Mallen, made it very personal for them. During the ceremony they read their own vows. It was so personal and so meaningful. 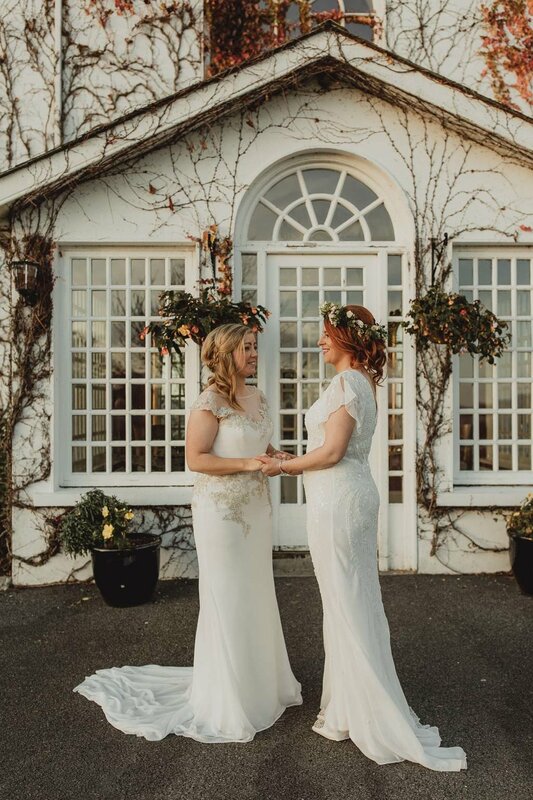 Lynn and Olivia met at their rugby club so during their ceremony they had a rugby ball thrown around by their guests who play with them. It was brilliant as they kept it a surprise! “It was honestly the best day we have ever lived & the love we felt from everyone that day was overwhelming. When we met getting married was a dream that maybe someday it would happen for us but to actually get to live that dream is something that we will treasure for the rest of our lives. It was perfect from the moment we woke up to when we closed our eyes ( the wee hours of the next morning)”. I think it totally sums up the whole day! 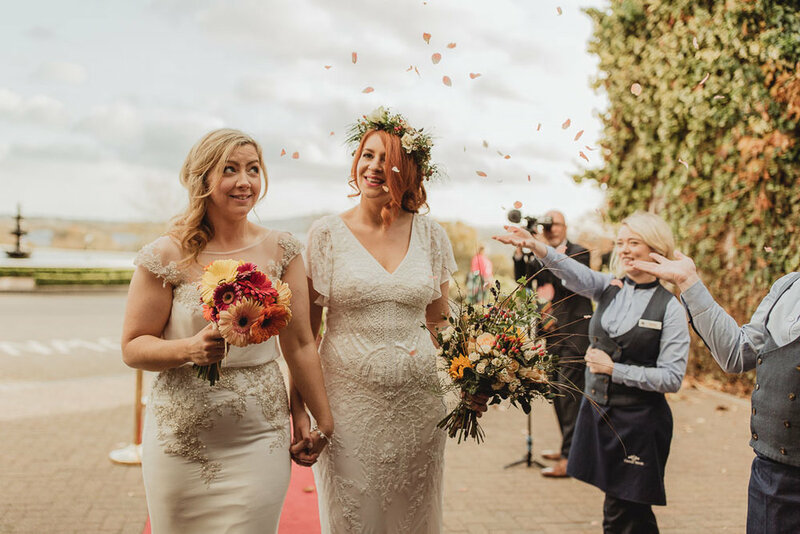 ”Joanna & Anna, we don't know how to thank you both for capturing the magic that took place on our wedding day! You two were amazing and we felt like you were our friends from the moment we met you! Both our families thought you were lovely people and thought that you were our friends because you both were so nice & friendly towards them & us!!!! We cannot begin to thank you enough for Saturday”. Thank you girls, messages like that make me love my job! Lynn wore a dress from Frilly Frocks, Drogheda and Olivia wore a dress from The White Room, Mullingar and they looked so beautiful. Flowers were from Paula Casey, Gibbstown. Hair by Jonathon Brennan Kierans & Make-up by Keara Kelly & Deirdre Sweeney. Music was by Doug Sheridan & Clockwise and videography by Gerry Duffy.